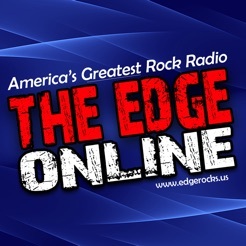 The Edge Online is America's Greatest Rock Radio. One listen to this online radio station, and you'll instantly be hooked. The best rock mixed with the best personalities, Period. 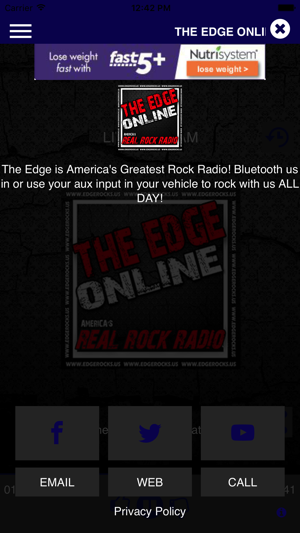 Broadcasting live 24/7 to a large nationwide audience out of San Antonio TX, The Edge will keep you rocking on these great phone apps no matter where you are. New, 90's and Classic Rock. Real Rock. 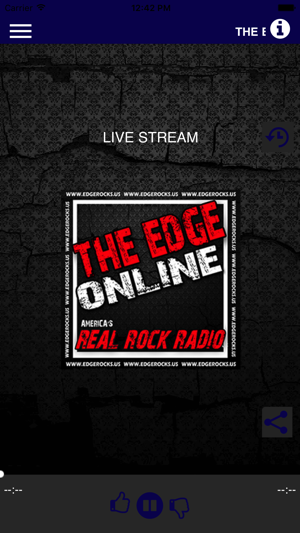 Don't waste your bandwidth, crappy interface with a bunch of wanna be FM Radio Reject DJs and "talk personalities"